Word-of-mouth marketing is super important for every business, because each and every happy customer has the ability to send another one your way. It’s considered one of the most credible sources of advertising since the person making the recommendation has nothing to gain but knowing they were able to help someone solve their problem. What are you doing to make sure your customers feel confident enough to recommend your business? Well, of course it all starts with what you are selling them and how they were treated as your customer. Over the years, marketing has evolved with the inclusion of social media and brands putting themselves out there for the consumer. Being able to share your experiences on social media has brought about a new form of word of mouth marketing. What was once seen as a one-way street, marketing is in the hands of the consumer now more than ever. You must start a conversation with your consumers to make they feel confident purchasing from you. Remember: There is no “I” in Customer! According to Nielsen, 77% of consumers are more likely to buy a new product when learning about it from friends or family. Consider this: you are chatting with a friend about how you need to find a company to design a business card for your new business venture. Your friend mentions she just worked with an awesome local graphic design company she found on Facebook and BAM – you’re research is done! If your friend trusts this company, then you will to. Believe it or not, Word-of-mouth marketing happens all day, every day and it’s sometimes the only marketing technique a company will rely on. Although word of mouth marketing may not be the best solution for every business situation, it is a great resource just to get people talking. Make sure you go above and beyond what the customer expects to maximize their purchasing experience every time. Make an effort – it will be worth it! 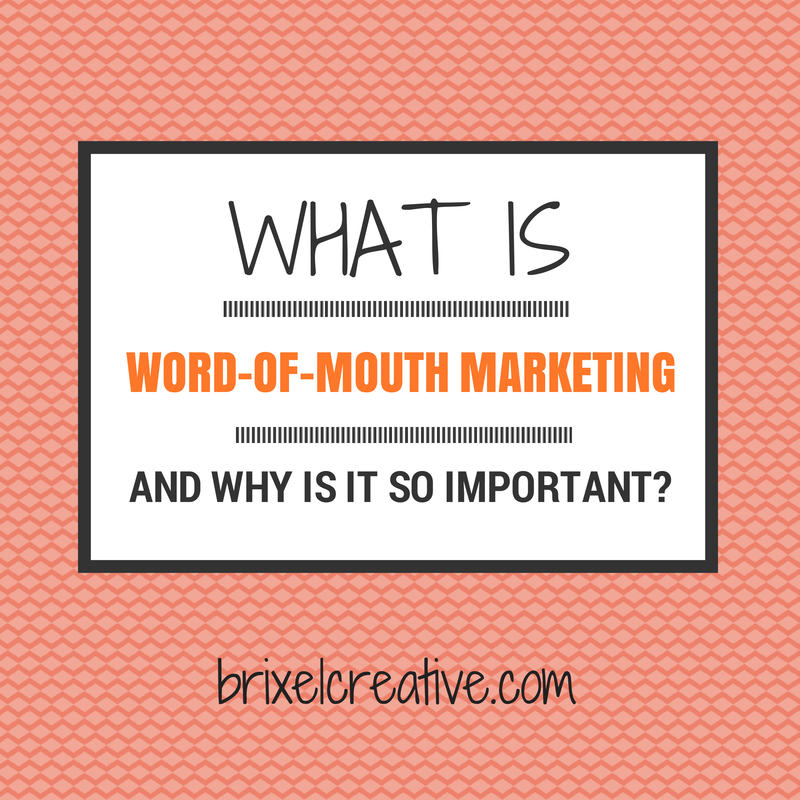 The benefits of Word-of-mouth marketing are endless. From building trust to enhancing your brand, all with with minimum investment your company is shared throughout communities and social networks, on both a business and personal level. Having your customers willingly advertise for you is great and certainly says a lot about the quality of your product or service. Get out there and give them something to talk about! ← Become who you were meant to be!